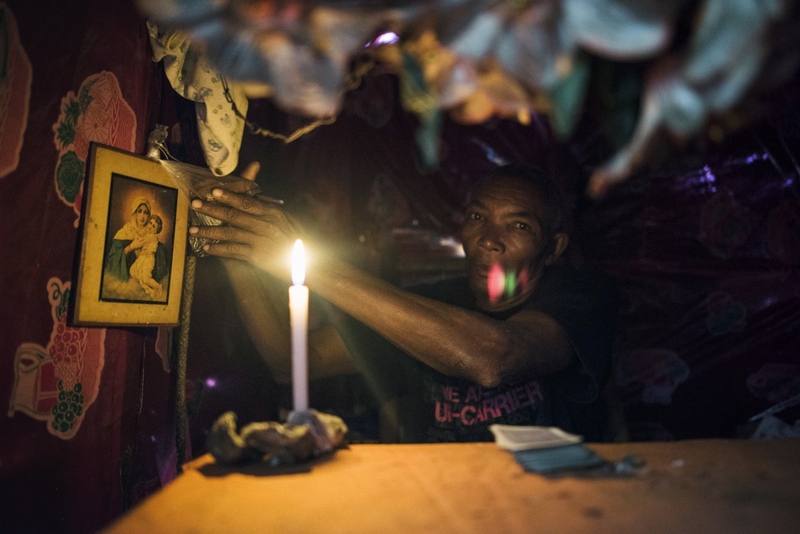 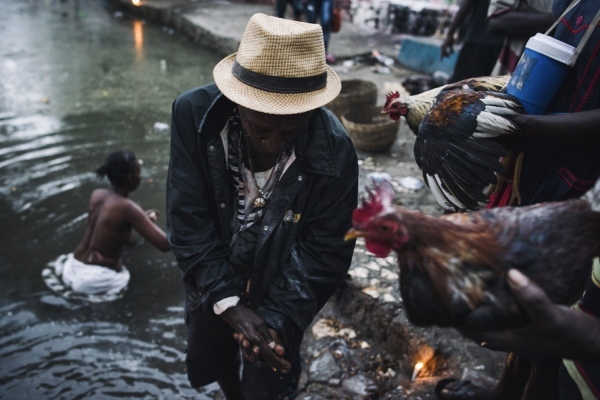 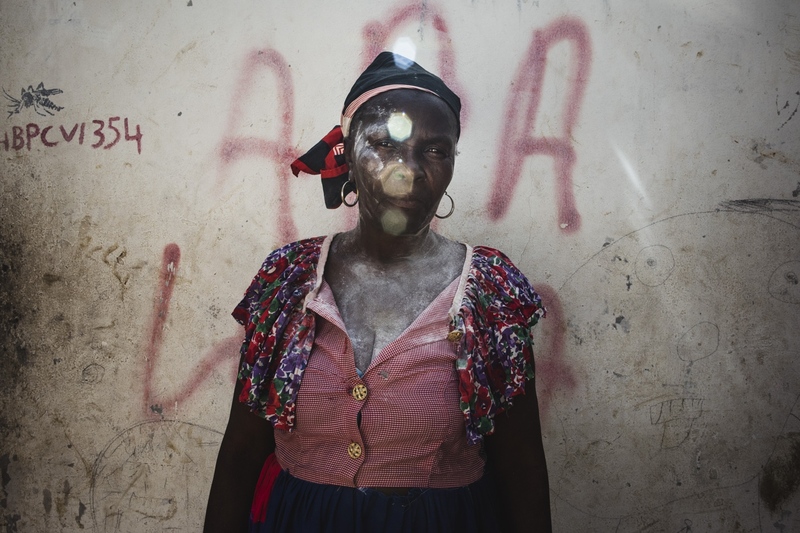 In Haiti everybody believes in magic, even fervent catholics. 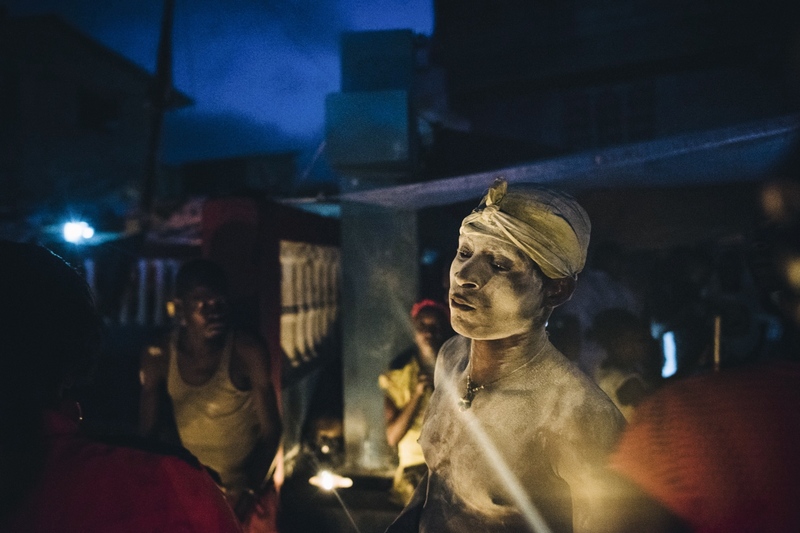 The Vodou, its spirits and their power are the deepest soul of the Caribbean Island, they are the experience inherited from Africa and settled in its history. 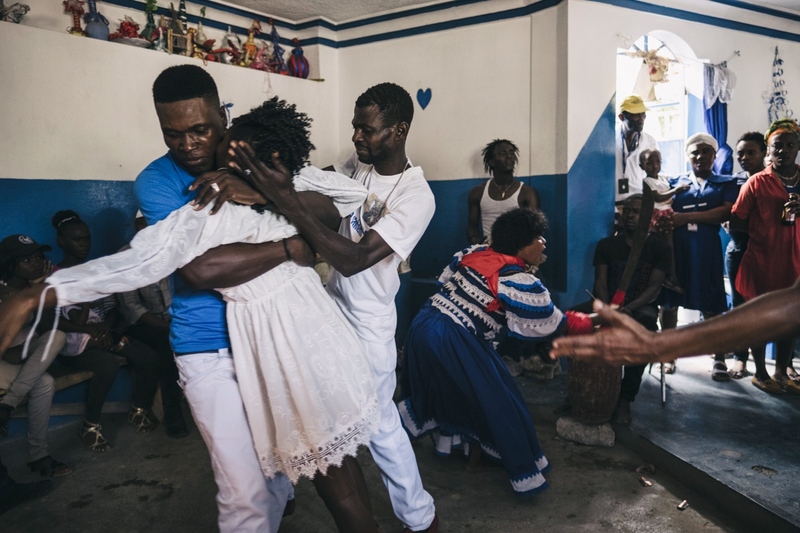 The saying goes, Haiti is “70% Catholic, 30% Protestant, and 100% Vodou”. 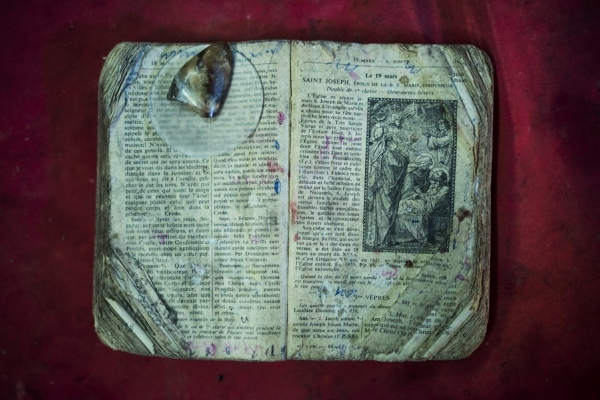 It represents a spiritual world but it also influences the healthcare, agriculture, society rules, arta and cosmology. 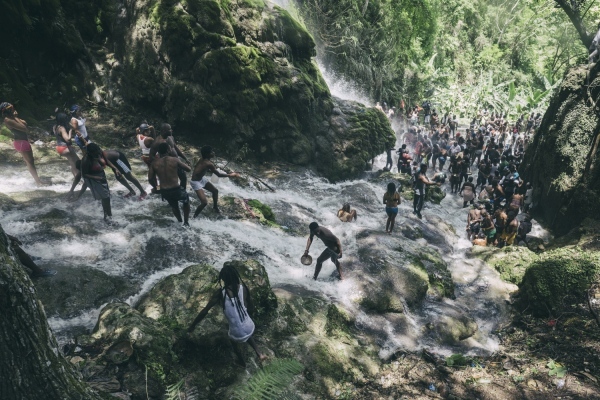 It doesn’t matter if it is real or not, it does exist in the moment in which it is practiced, lived and broadly shared. 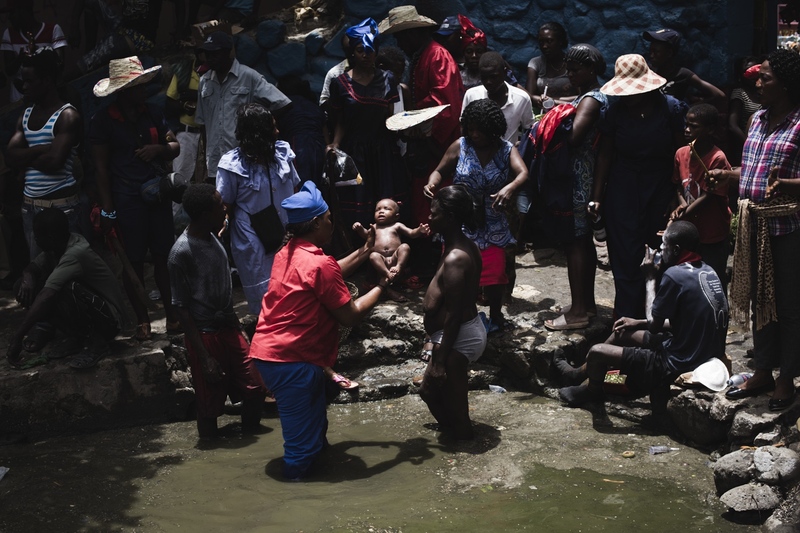 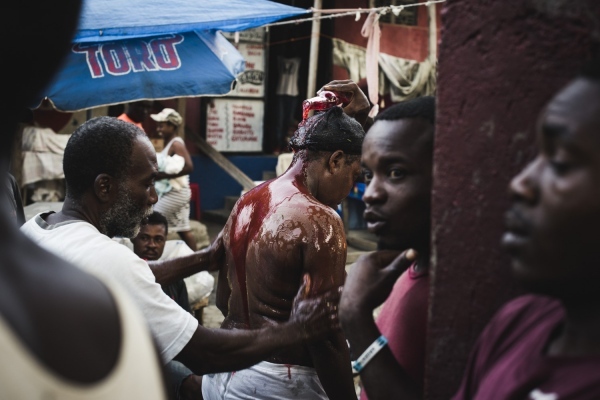 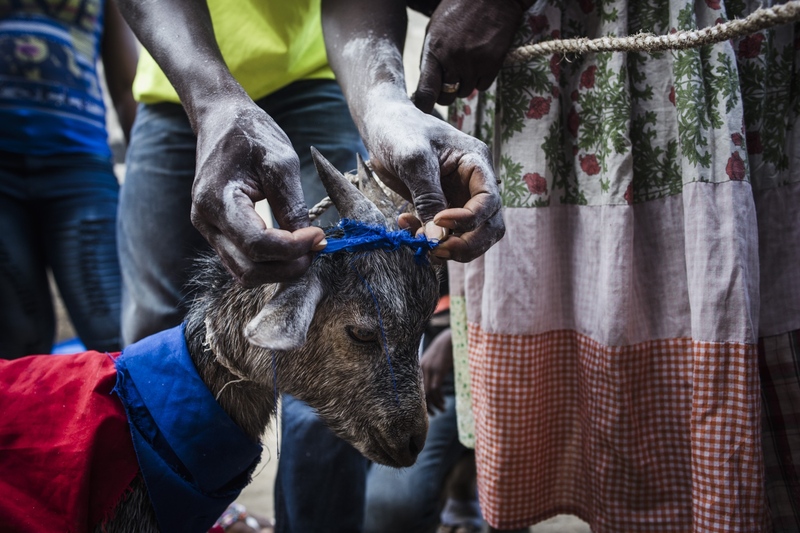 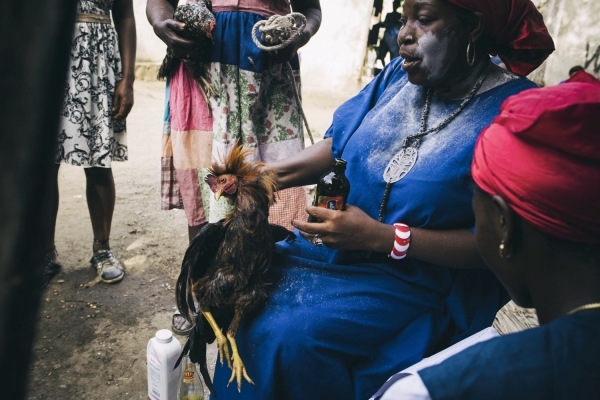 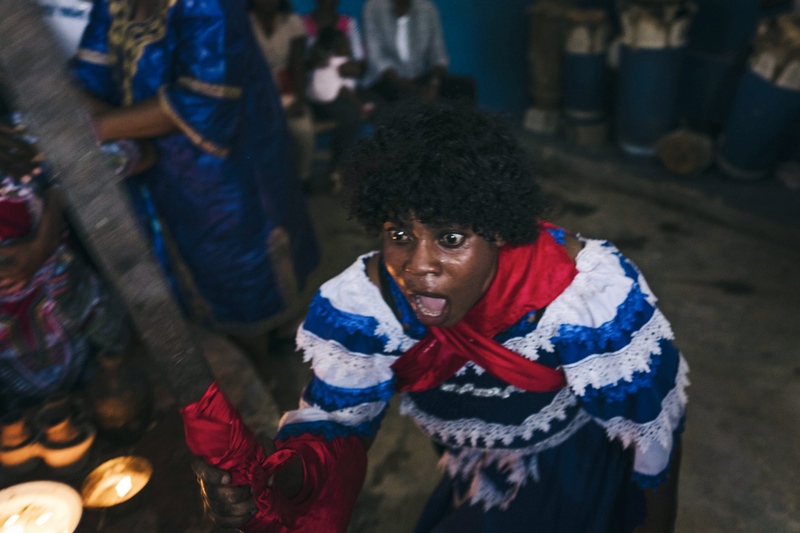 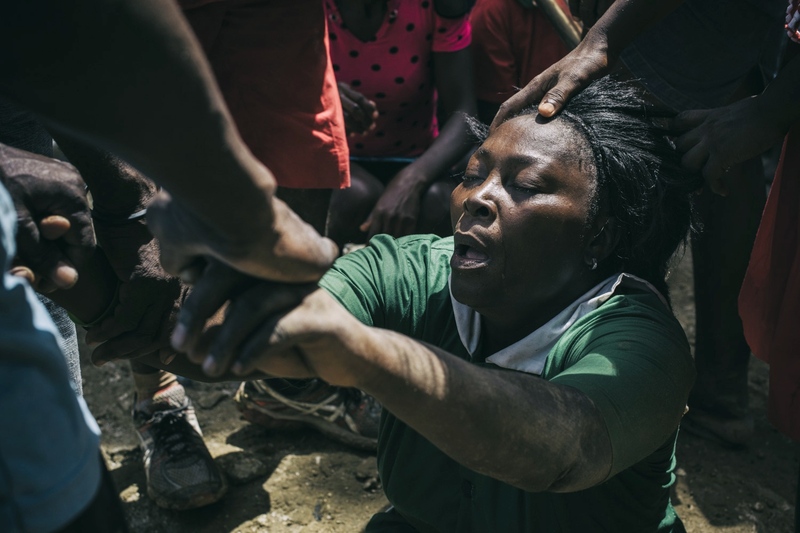 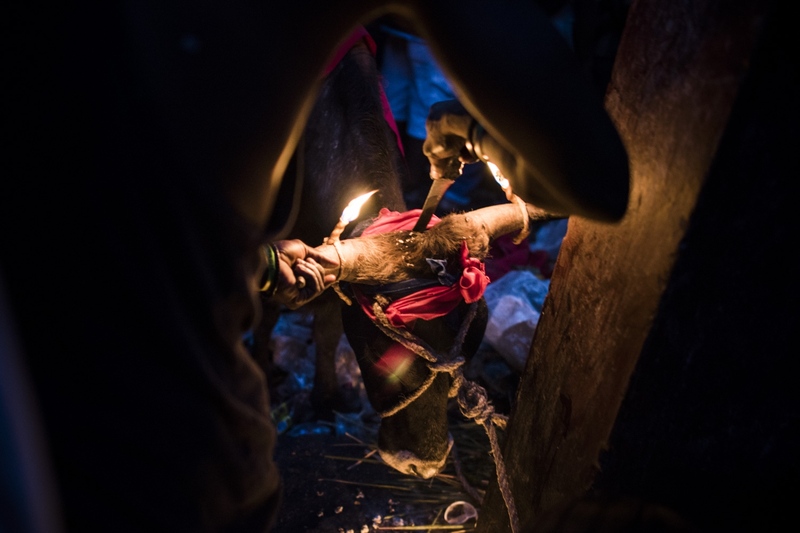 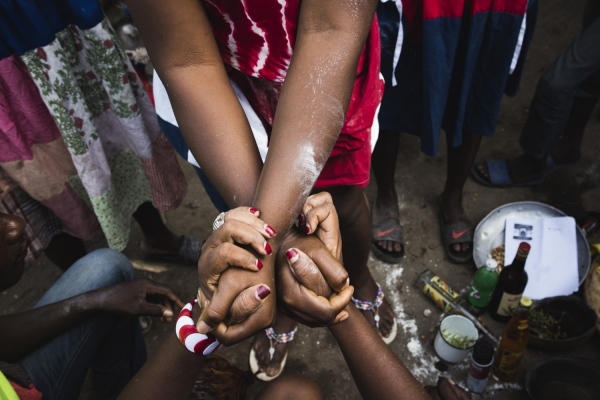 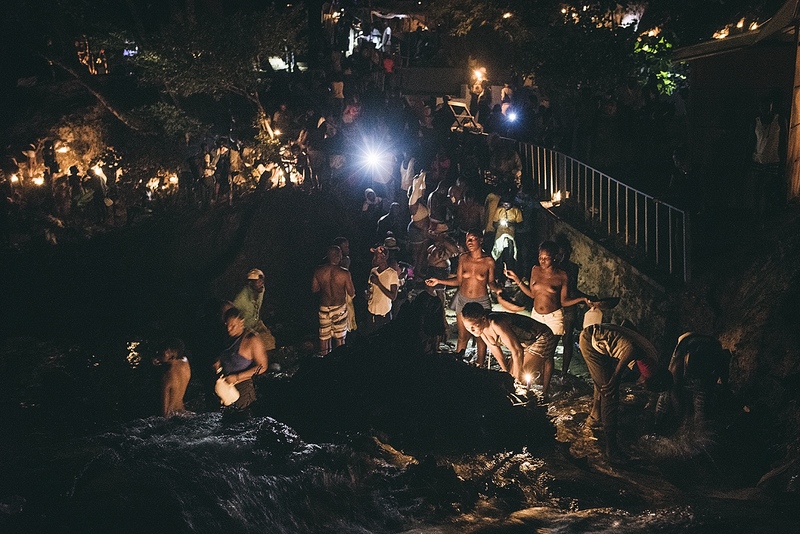 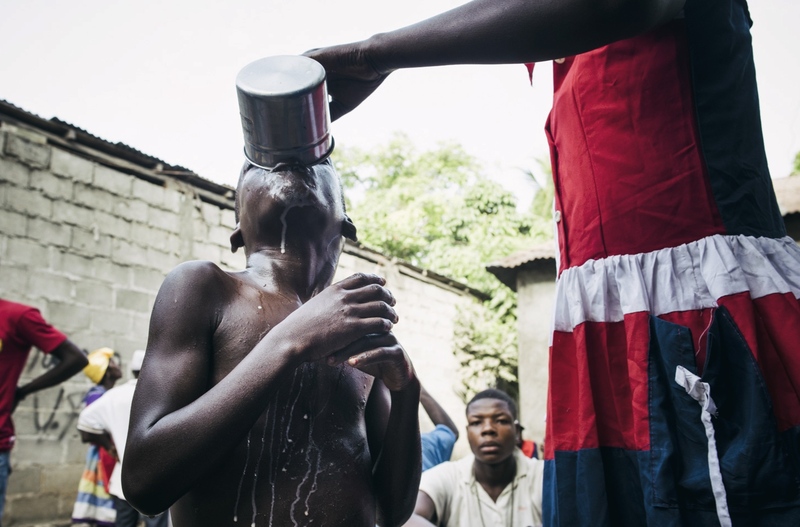 During the ritual the loa, the spirit of the Haitian vudù, are called down by the houngan (priest) or mambo (priestess) to take part in the service, receive offerings, and grant requests. 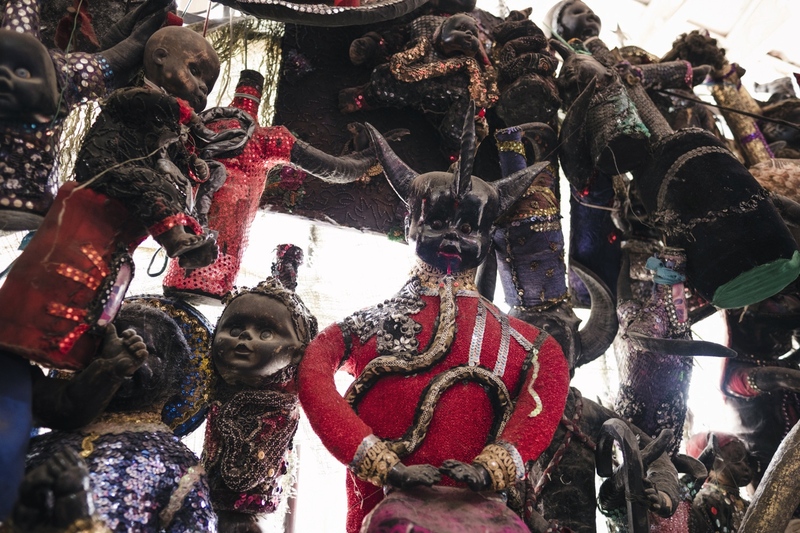 The loa arrives in the peristyle, the voodoo temple, by possessing one of the participants. 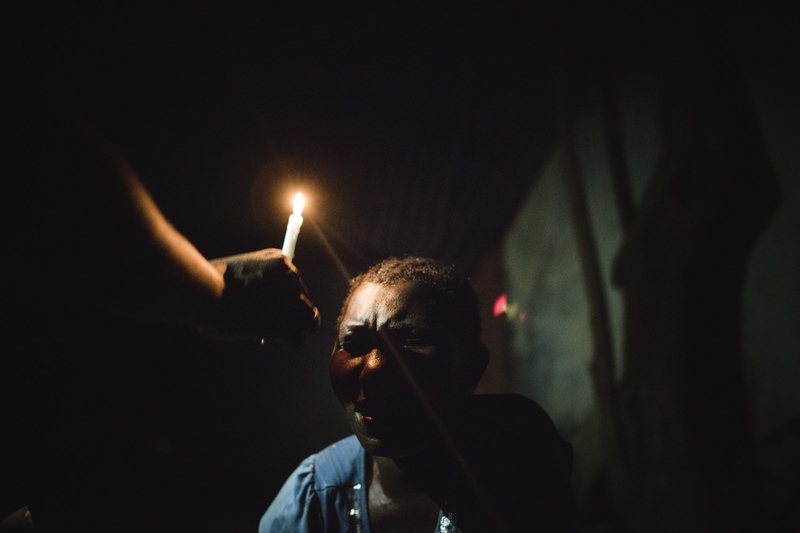 This can be quite a violent experience as the worshipper can fall down losing consciousness in the grip of convulsions, with eyes rolled back and speaking the Loa’s will. 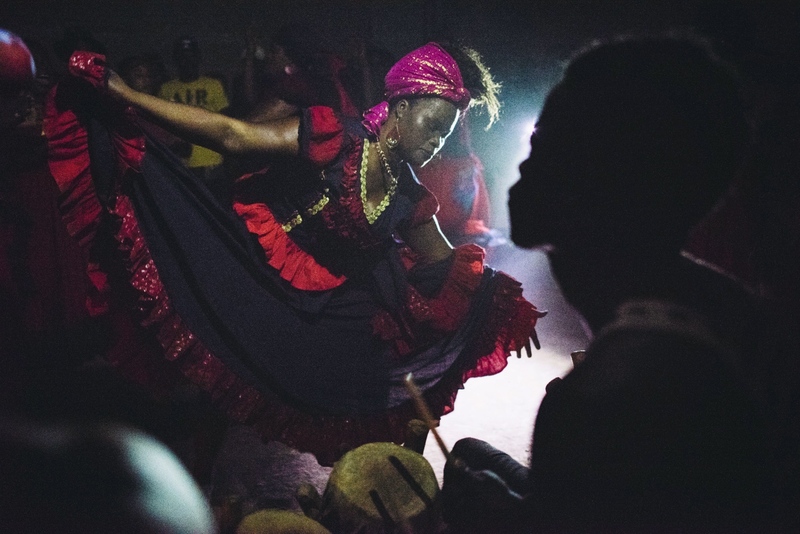 The rhythm is constant, people play and dance non-stop for hours looking for that experience, to transcend into a more beautiful reality. This is stunning but not scary, as the American movies wanted to tell us, romanticizing the black animist religion. 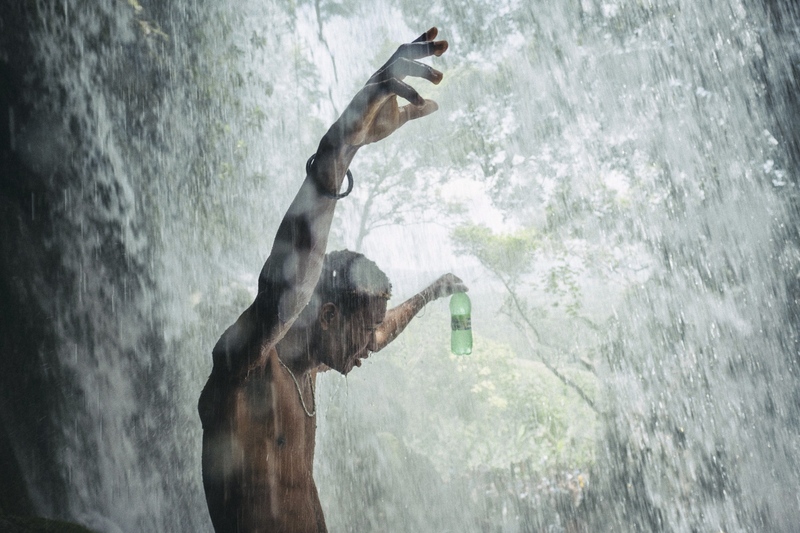 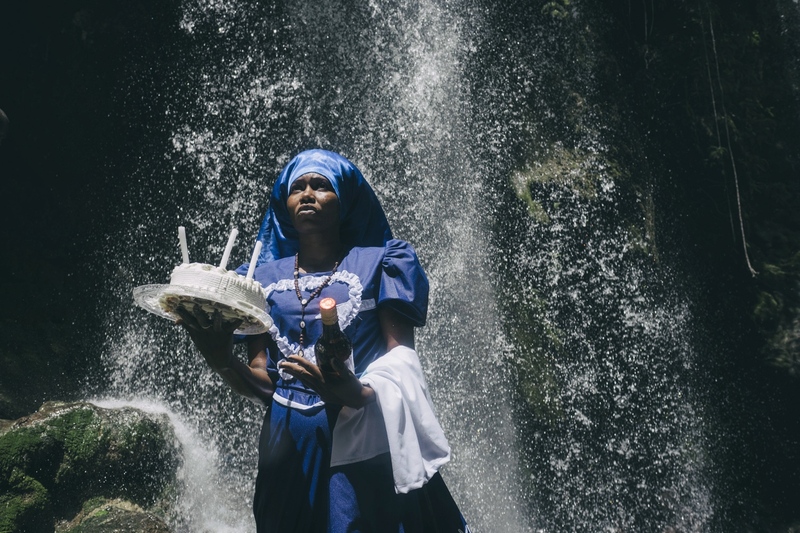 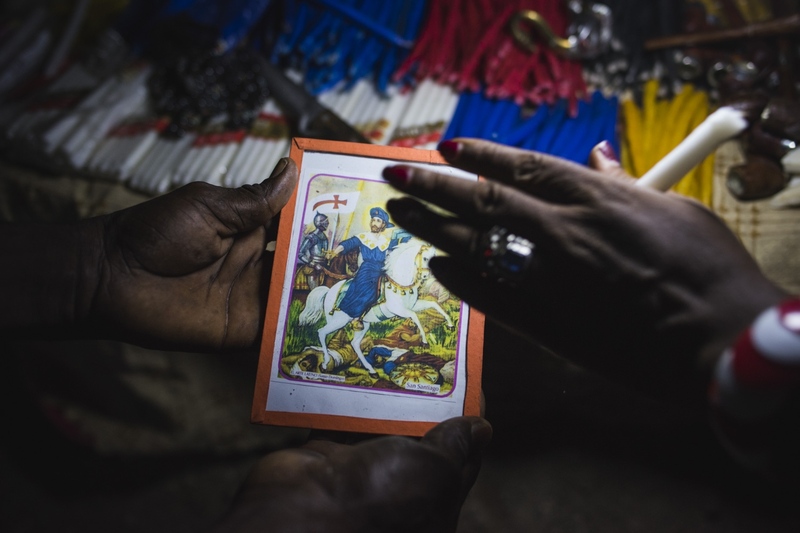 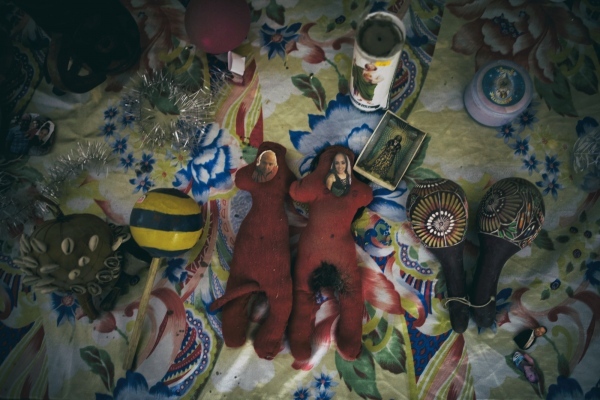 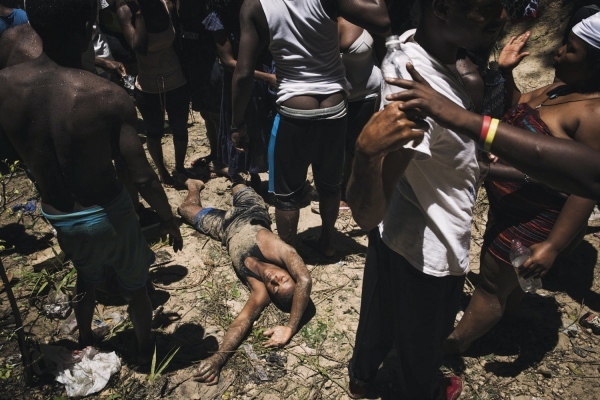 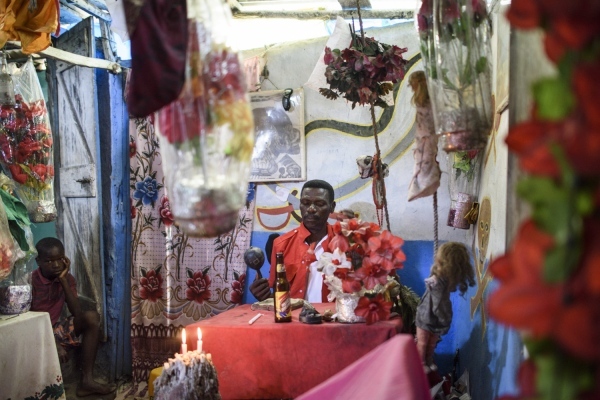 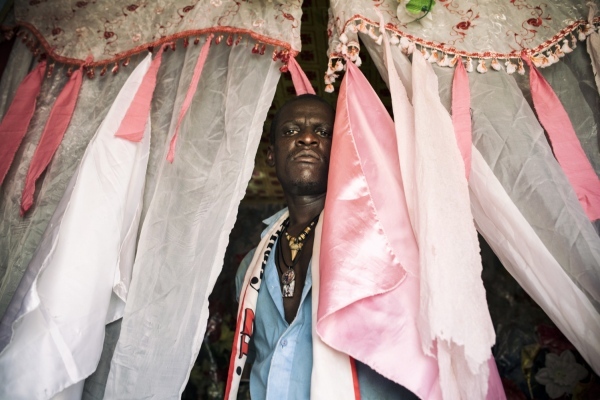 The Vodou is not some sort of sinister practice, sorcery, or love magic, it is an art and a way to be connected with the unseen and the unknown.